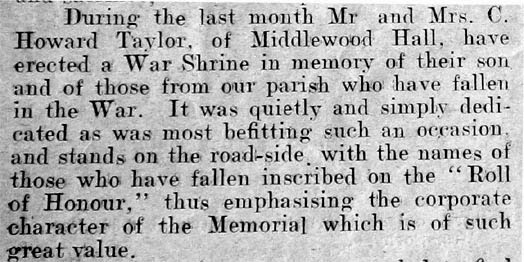 This memorial was initially erected as a War Shrine by the local landowner C Howard Taylor of Middlewood Hall, Darfield in 1917 (from the Darfield Parish Magazine, thanks to KV). 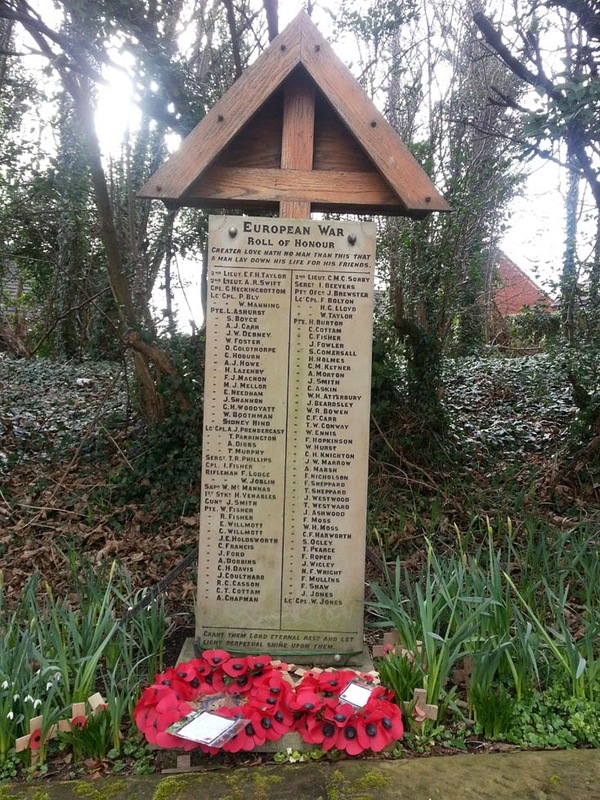 We know that some remedial work was carried out to the base and woodwork in the 1980s (according to the War Memorials Archive) ... but the ordering of the names suggests that the stonework is not the original 1917 installation. 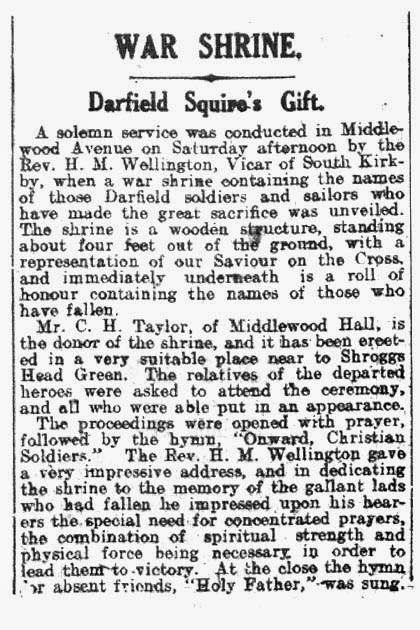 A newspaper cutting from the Swinton & Mexborough Times (from Barnsley Archives) in 1917 tells us that the original design included a 'representation of our Saviour on the Cross' which is no longer included in the present memorial.